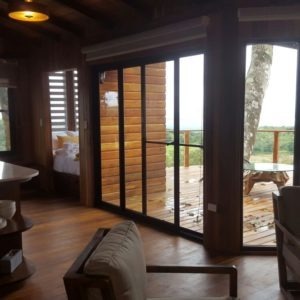 This project is actually 2 treehouses right next to each other that are available for rent in the lower montaine region of Panama. Want to visit the Lucero Homes golf resort community and check it out? Sip wine and taste local Ceviche from the deck of a treehouse? Yeah, us too. It was hard to leave after building this project. Check out their Treehouse rental page for information. The easy access to skilled local woodworkers and mills that process tropical hardwood trees like you have to pay 10x more for in the USA was enough to make our carpenters drool when we visited the lumber supplier's workshop. 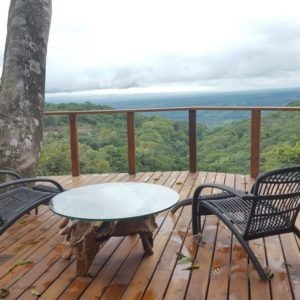 This treehouse resort has all of the modern amenities you would expect in an international tourist accommodation but in a more natural setting with views that take your breath away. 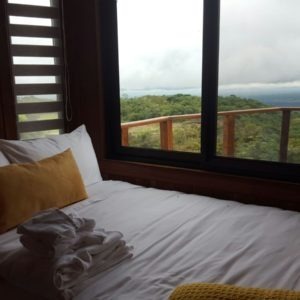 We want you to be successful with your project, which means that you get a well designed and built treehouse, and that it fits in a reasonable budget. We are able to give you a construction quote for a complete, full service construction project, but when we are traveling a long way from our home base in West Chester, Pennsylvania, USA, then it often makes sense to share a project with local craftsmen. This often makes sense from an economic perspective and it makes great use of local expertise. is the farthest from home that we have traveled to build a treehouse. 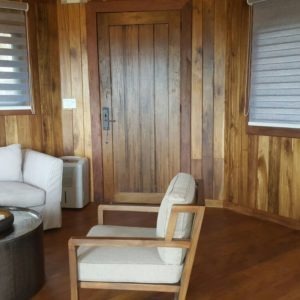 We designed the treehouse and send a builder down to help construct the framework and coordinate help from dozens of local woodworkers to create this masterpiece. It is very important for us to be present for all tree attachments, and usually the rigging and setting of beams. Some clients keep us on for the framing as well, given our expertise in climbing trees and working at heights. We can also stay on a project from start to finish and make life easy for you. We put this on our portfolio, but must give a lot of credit to the many local artisans who made this project as beautiful as it is. 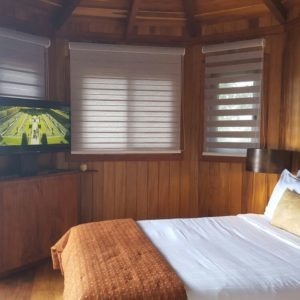 While treehouse costs vary greatly and each project is unique, we understand your need to have some idea what each project in our portfolio would cost to build. Please see our tree house pricing page for a description of the factors that go into each quote. 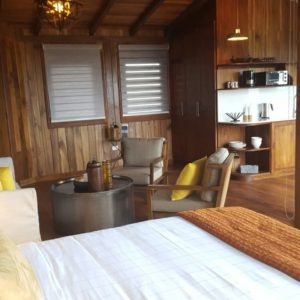 This tree house as shown in a location like this would cost between $100,000 and $150,000 per unit, and would rent for about $300-800 per night, depending on season and the local market. Please feel free to contact us to discuss whether your project would fall on the high end or low end of this range.